(Bloomberg) -- U.S. trade officials including Treasury Secretary Steven Mnuchin and Trade Representative Robert Lighthizer landed in Beijing Thursday for talks aimed at nailing down a deal with China, as an official there warned there are still many issues outstanding. 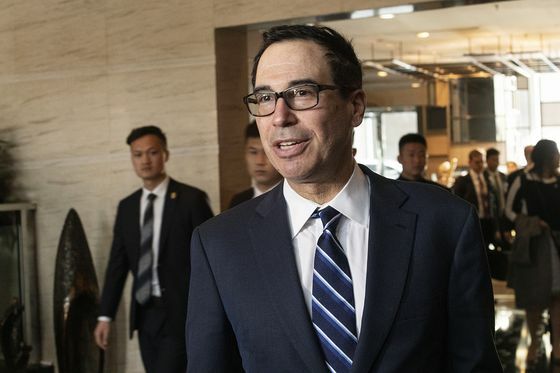 Arriving at the Westin hotel in Beijing’s Chaoyang district, Mnuchin said he was “pleased” to be there and looked forward to “productive” meetings. Estimates of progress in the talks have veered in recent weeks between expectations of an imminent signing to pushing any finalization months down the line. “There’s still a lot of work to be done,” Ministry of Commerce Spokesman Gao Feng said at a press conference in Beijing on Thursday. One of the biggest sticking points is still disagreement on enforcement, with the U.S. wanting assurances that China will deliver on any promises to change its practices around intellectual property protection. The two sides will hold a working dinner Thursday evening with a full day of talks planned for Friday, Gao said. Chinese Vice Premier Liu He is then scheduled to travel to Washington next week. The urgency of reaching a trade deal is being underscored by the dimming outlook for global commerce. Figures published Monday show trade fell 1.8 percent in the three months through January compared with the previous period. That’s the biggest drop since May 2009. 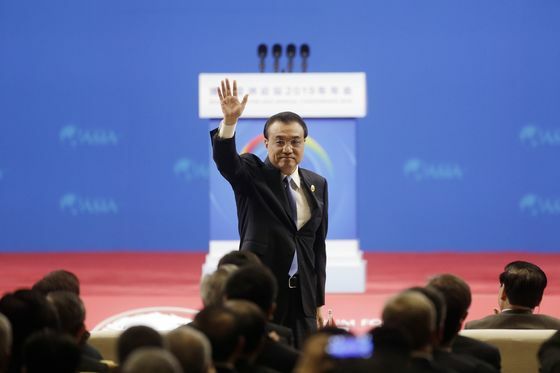 Speaking Thursday, Chinese Premier Li Keqiang said China’s domestic economy has showed signs of stability amid targeted stimulus support, despite threats arising from weakness in global demand. The government this month unveiled a record 2 trillion yuan ($297 billion) tax cut and has worked since last year to improve the supply of credit to small businesses and the private sector. While signs of stabilization in the local economy continue to appear, the U.S.-China trade war remains a major source of uncertainty.